Kindly Reminder:Please bring protective gears, i.e. knee pads, elbow pads, just in case. 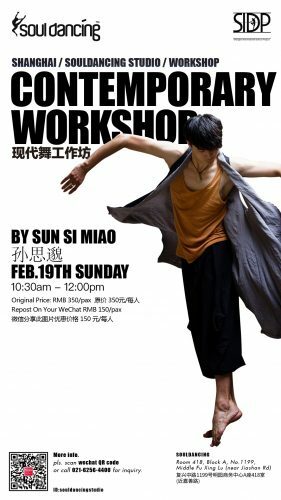 Sun Si Miao graduated from Shanghai Theatre Academy with a choreography major. He specializes in many dance displines such as modern dance, folk dance, classical dance, ballet and street dance such as FreeStyle, poppin, locking, hip hop, jazz, urban. During his time in college, he already participated in grand dancing performance project and debuted in Natioinal Center for the Performing Arts. During 2011-2012, he participated in many dance competitions and won many awards. In 2012 he was also invited as a choreography director for a popular TV show-Let’s Shake It produced by SMG group. 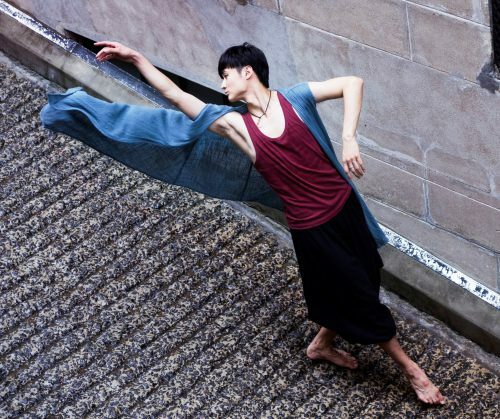 During 2013 to 2015 he was invited to teach modern dance at East China Normal University. In 2014, Sun Si Miao was invited to direct dance for Shanghai Drama Art Center. In 2015, he was assigned as the exectutive director for MG show in Chengdu International Moto Show. In July 2016, Si Miao was invited to attend a International exchange project in Germany with UrbanDance Club.